10% protein with 2.5% fat, they can be used as a treat, reward, trail ride snack or mixed with medications. 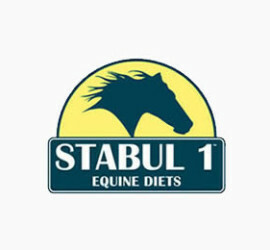 Stabul 1 low carbohydrate horse diets have been specifically designed for horses, ponies, donkeys and mules that are prone to being overweight, or conversely, prone to being underweight, that are also prone to EPSM, Equine Metabolic Syndrome, insulin resistance (IR), Cushing’s disease or laminitis/colic issues. 52% of all horses will colic or founder at some point in their lifetime. 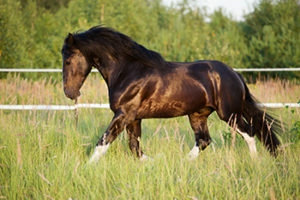 A low starch, low carbohydrate horse diet has been proven to lessen the risk of starch overload and resulting health issues by creating fewer key digestive problems. Our ingredients are sourced carefully to ensure that our Locked Formula, balanced low carbohydrate horse diet is always consistent from bag to bag, to avoid dietary triggers from small changes. All Stabul 1 products are produced in HACCP safe feed/safe food plants in the United States. Stabul 1 diets assist in balancing and stabilizing these chronic conditions and issues nutritionally, lowering the need for additional medication, or allowing for less medication, in some cases. This is also key as our horses age and their nutritional requirements become even more important to maintain good health. We always recommend working with your farrier and veterinarian team for the best possible management of your horse’s health. 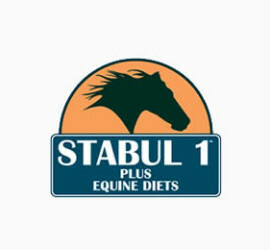 Nothing you don’t need – Anderson Feed Company requires that Stabul 1 equine feed never contains molasses and is guaranteed to contain less than 10% starch and sugar in every bag. We also do not add any iron to any of our equine diets for correct mineral balancing. 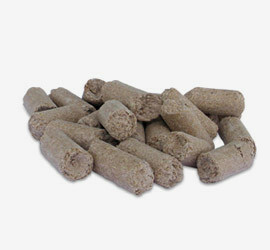 High quality fermentable fiber from Soybean Hulls, Beet Pulp and Alfalfa which provides additional calories in a safe form. Probiotics added to support microbial fermentation in the hind-gut. Added fat from vegetable oil to increase energy density and maintain body, skin and hair condition. Flaxseed to provide Omega 3 fatty acids which boosts the immune system and can help regulate thyroid functions, making it an ideal supplement for metabolic horses as well as aging horses. With added Amino Acids we guarantee correct levels of Lysine and Methionine to ensure quality protein for healthy muscle tissue support. 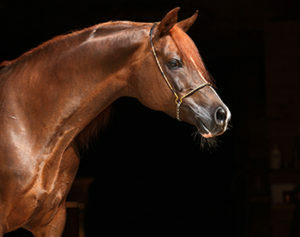 Anderson Feed Manufacturers is in a unique position to reformulate the concept of today’s low carbohydrate horse diets. By using only top-quality ingredients, locked recipe formulations, and the pride that comes from owning a family business, they have built a trusted name in the exotic animal feed arena (NuZu Feed) that has expanded into specific equine formulated diets. See our full list of manufactured products.